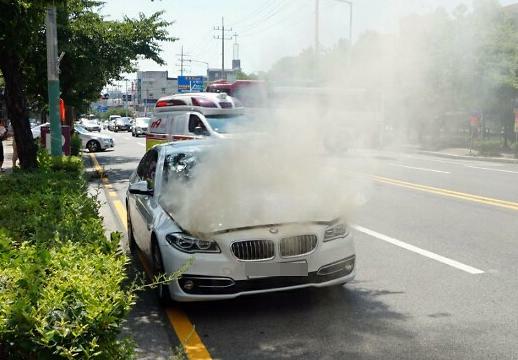 SEOUL -- A South Korean consumer association said Monday it has formed a group of experts to help the owners of BMW vehicles jointly file a lawsuit against the German carmaker amid a string of cars catching fire while being driven. The Korea Consumer Association will invite consumers who drive BMW cars to file a joint suit against the luxury carmaker for two weeks from Aug. 13, a KCA spokesman said by phone. 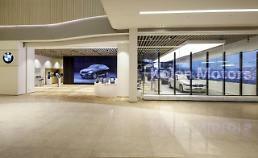 The association has already gathered 100 BMW owners for the joint suit. "BMW owners feel uneasy about driving their cars due to safety worries even after the recall of a faulty component (that BMW says appears to be the main cause of recent fire incidents)," the spokesman said. The consumers are also concerned about a sharp decline in the residual value of their BMW vehicles due to the fire incidents and upcoming lawsuits by other consumers, he said. 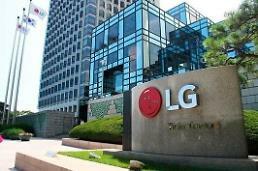 Shin Hyun-du, president of the association, said the planned joint lawsuit is aimed at reflecting local consumers' rights in the suit against a global company. There have been 32 cases of fires in the engine compartments of BMW vehicles, mainly the 520d sedan, this year through Sunday. BMW announced it will recall 106,317 vehicles to fix exhaust gas recirculation (EGR) at its 61 after-sales service centers around the clock during a two-week period starting July 31. BMW has identified the EGR, one of the principal methods used to reduce nitrogen oxide emissions from diesel engines, as the main cause of the recent fires in the engine compartment. Two groups of consumers, one of four and the other of 13, have already filed a suit against BMW over the faulty part that appears to have caused vehicles to catch fire, according to Ha Jong-sun, an attorney at Barun Law, which represents the 17 plaintiffs. This week, dozens of BMW vehicle owners are expected to take legal against the German carmaker for the same reasons, Ha said. Last week, the Ministry of Land, Infrastructure and Transport urged the owners of BMWs not to drive their vehicles until safety issues are fully settled. The ministry said it will investigate what caused the fires in a thorough and transparent manner and as quickly as possible. It also vowed to review existing laws and regulations involving the recall system for carmakers to find any loopholes. On Monday, the government called on BMW Korea's chief executive officer to fully explain the ongoing safety checks on 42 kinds of vehicles subject to recalls and the cause of recent fires in their engine rooms. On the same day, BMW sent an email message to reporters to notify them of an "urgent" press conference at 4 p.m. in downtown Seoul. The carmaker plans to issue a formal apology, release the results of the German parent firm's investigation into the cause of the fires and announce its future plans, the message said.